Some of you may have read about my meeting Wes Parker at the Baseball Reliquary's Shrine of the Eternals Induction Day. 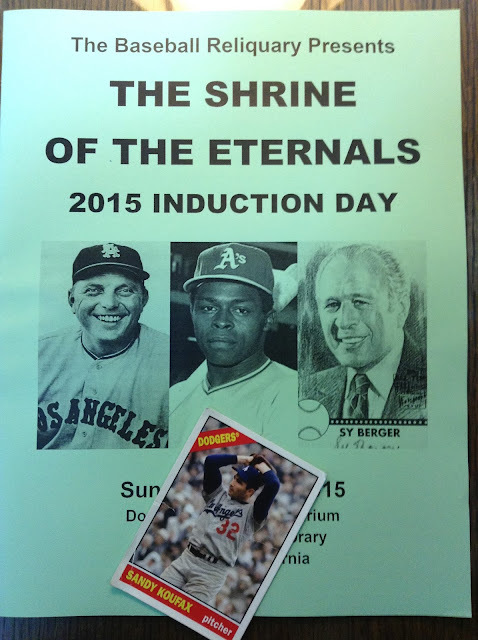 Here is my experience of what a grand Induction Day it was! How about 10 cent beer night! What could possibly go wrong? 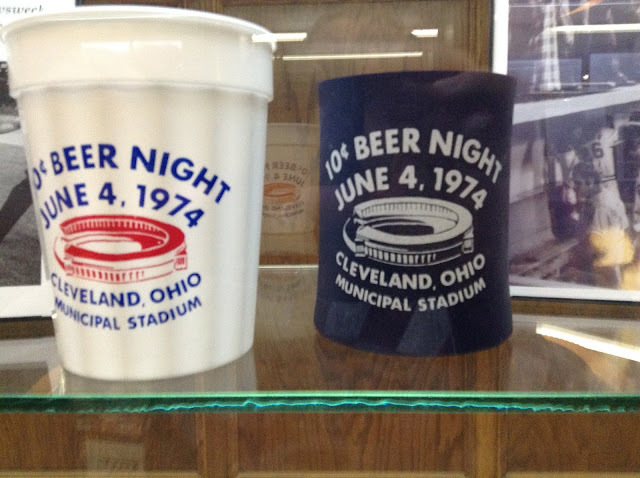 Who doesn't want one of these cool beer coolers? 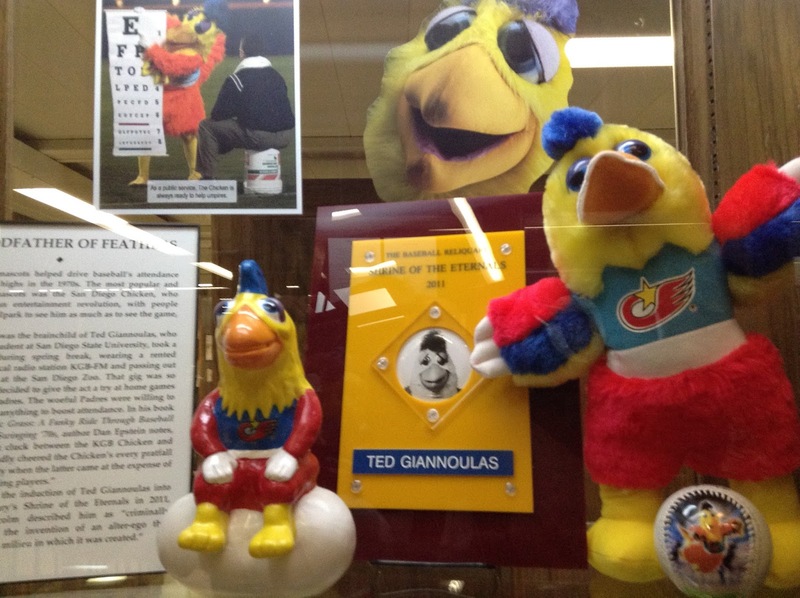 Inside the glass you can see the actual plaque the Godfather of Feathers received from the Shrine of the Eternals. 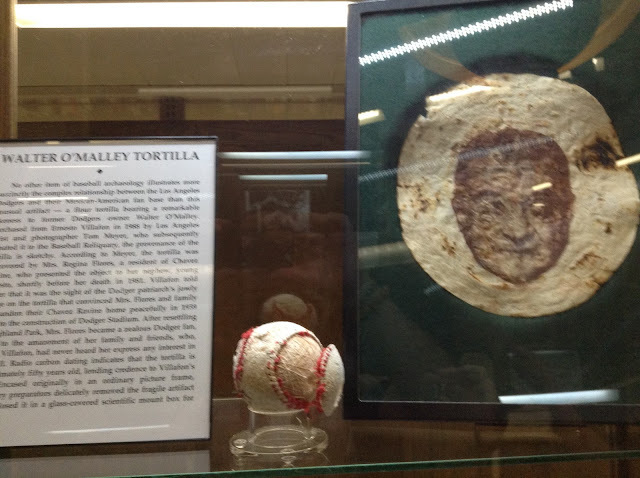 Just when you thought you've seen it all...along comes a tortilla with Walter O"Malley's ever-lovin' mug on it. 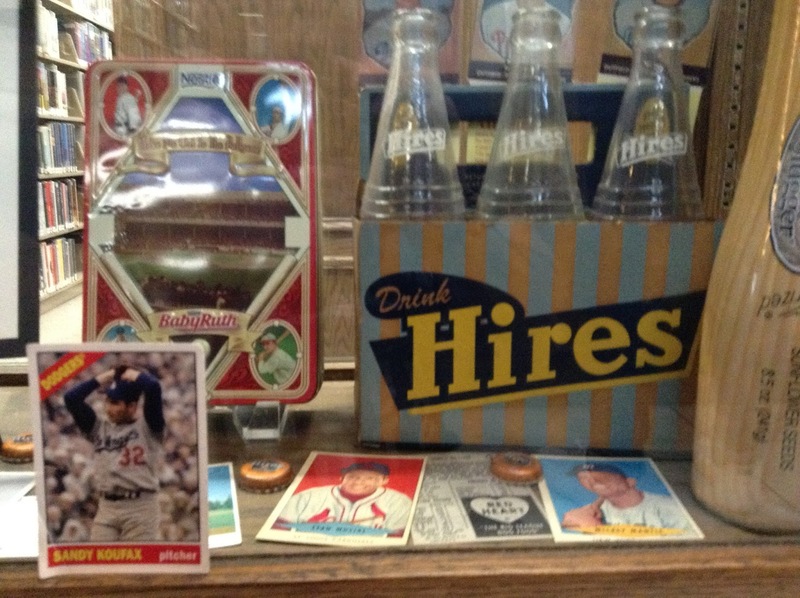 Wallet Card rightfully took his place beside the other baseball oddballs. Laker Dave and I arrived 45 minutes early for the ceremonies, and a line had already formed. 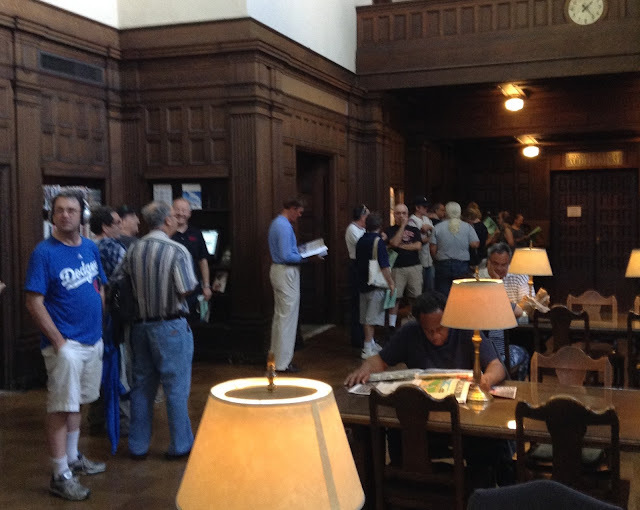 Note the guy standing alone in the blue shirt and light-colored pants. 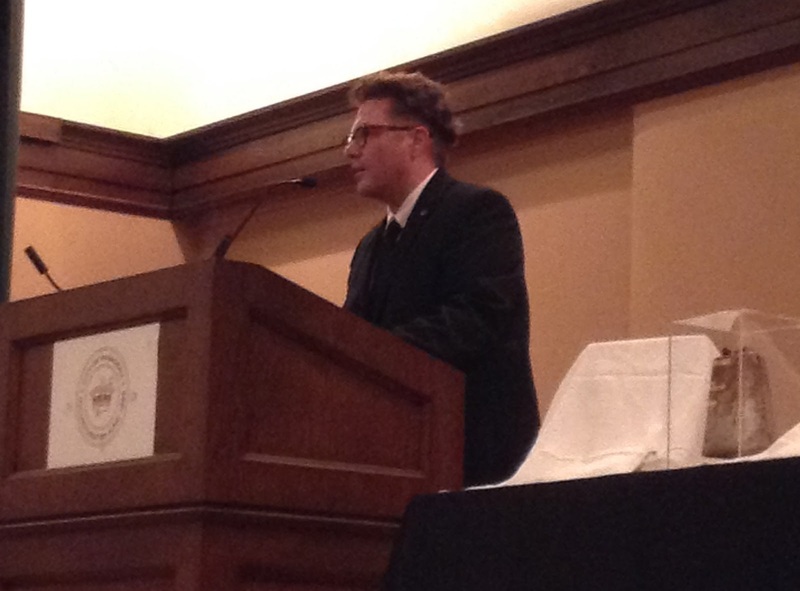 Yup, it's none other than Wes Parker. He was in line one person ahead of Laker Dave and I, and we never even noticed. I didn't even notice that fact until I inserted this pic into the post! Before the ceremonies, just milling around, and noticed this cool jersey. More on this guy coming up. Finally, it's time for the ceremony to begin. 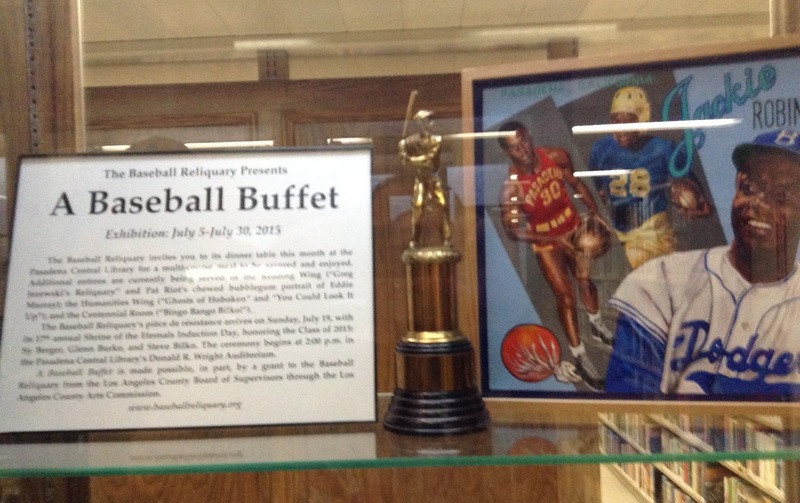 Baseball Reliquary Executive Director, Terry Cannon, calls us to order with the ringing of the cowbell; this is done in honor of legendary Brooklyn Dodgers super-fan, Hilda Chester. 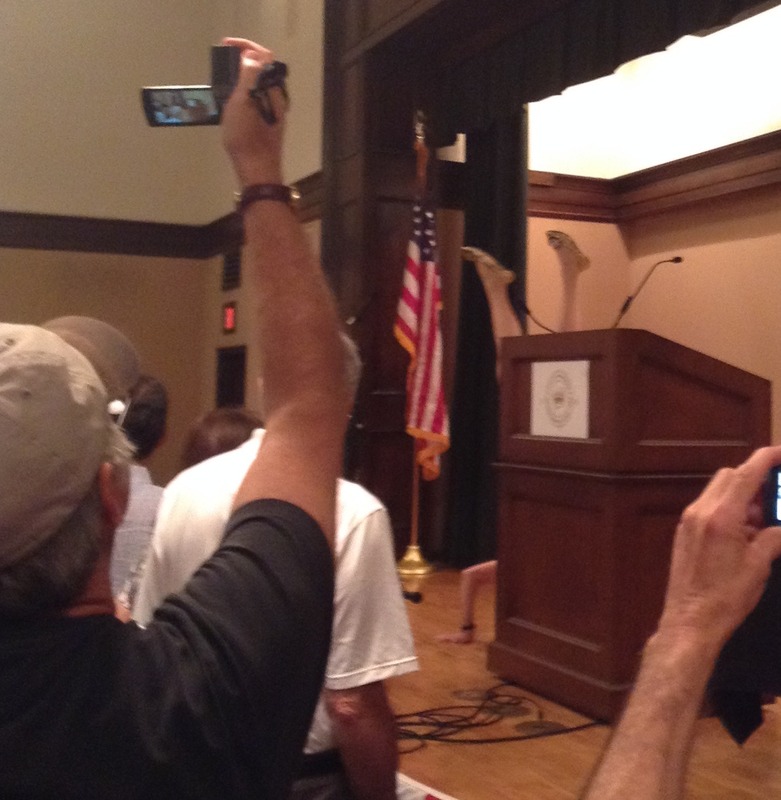 The event began with a rendition of the Star Spangled Banner in a fashion that, according to Terry, "We have likely never seen before, nor will we ever see again". Boy, was he right! Unfortunately, I was on the wrong side of the podium for this one. 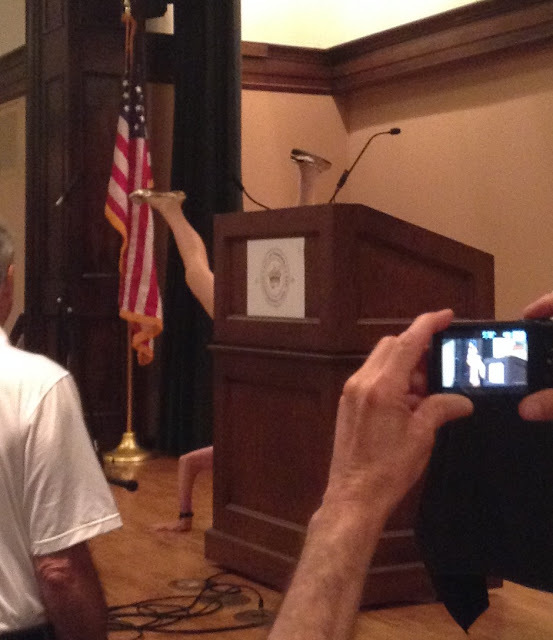 Can you spot our lovely singer on the far side of the podium? I have never seen before, nor shall I see again. Thanks to one-of-a-kind singer, Jackie Lee. 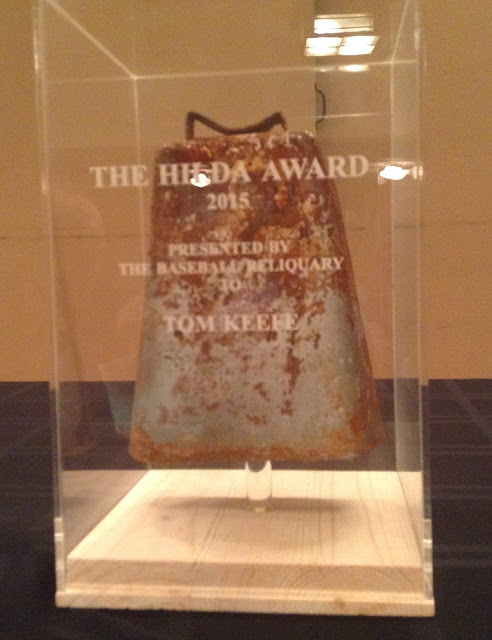 On to the first award - the Hilda Award - presented to Tom Keefe, the founder and president of the Eddie Gaedel Society, Spokane Washington, Chapter 1. 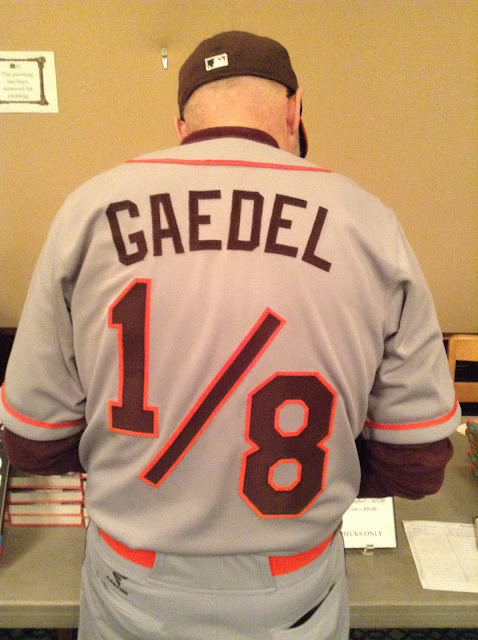 The society keeps alive the legacy of Gaedel’s historic walk into baseball immortality as a member of the St. Louis Browns in 1951. They meet annually on August 19th, the anniversary of Gaedel’s one plate appearance, at O’Doherty’s Irish Grille & Pub in Spokane. 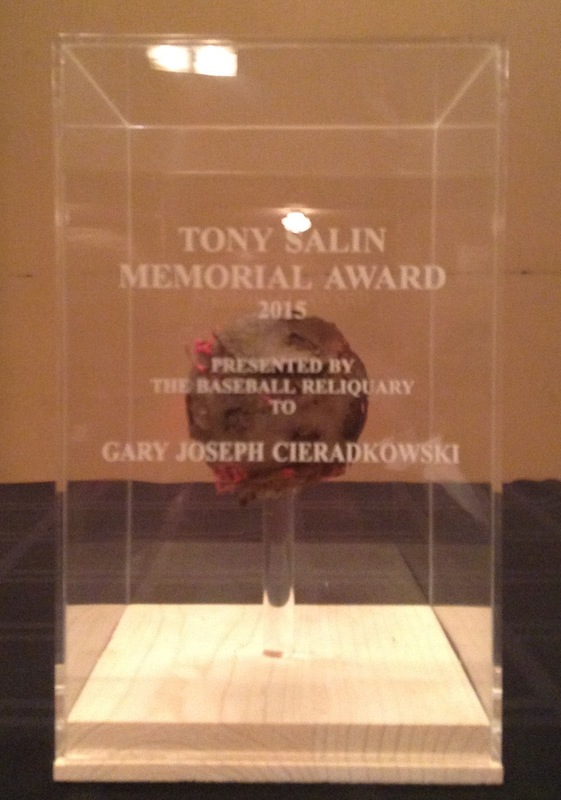 Next was the Tony Salin Memorial Award, given to Gary Joseph Cieradkowski, the man behind The Infinite Baseball Card Set blog. 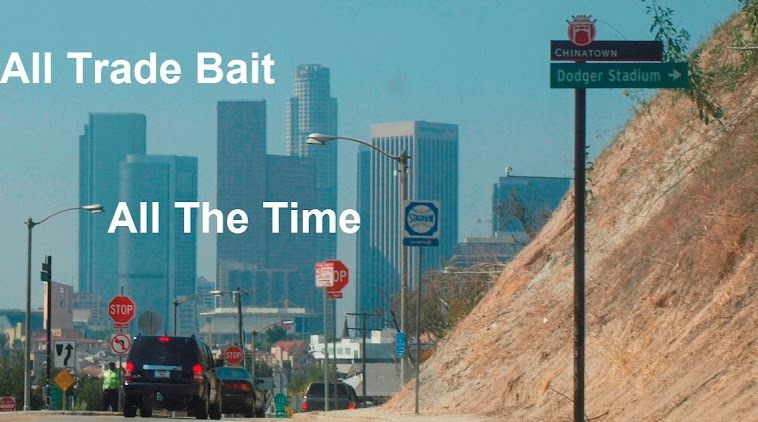 His blog is definitely worth a visit or two. He recently published The League of Outsider Baseball: An Illustrated History of Baseball’s Forgotten Heroes. 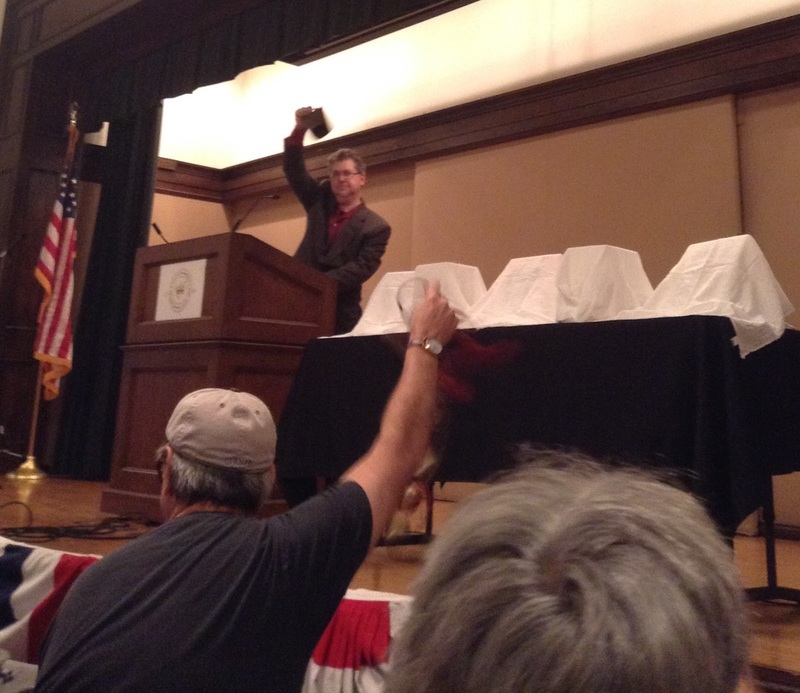 Joseph gave a great speech, fascinating us with his tales of crossing the country's minor league parks presenting an exhibit from the Babe Ruth Museum, which featured Ruth's priceless bat from 1927. 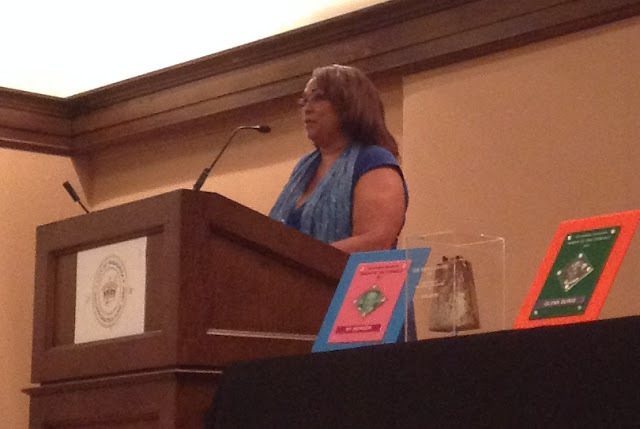 Then came the actual inductions. This years class was Glenn Burke, Steve Bilko and Sy Berger. If you don't know who they are, I encourage you to read about them, as they are all certainly deserving of the honor. 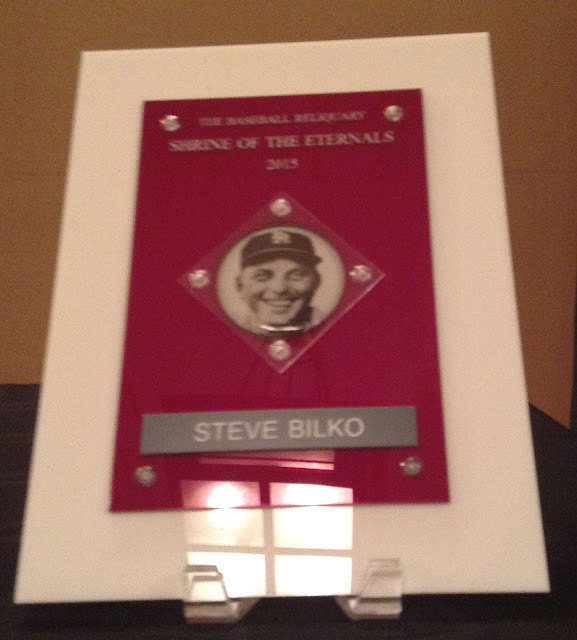 Below is a shot of Glenn Burke's sister, who accepted his induction into the Shrine. 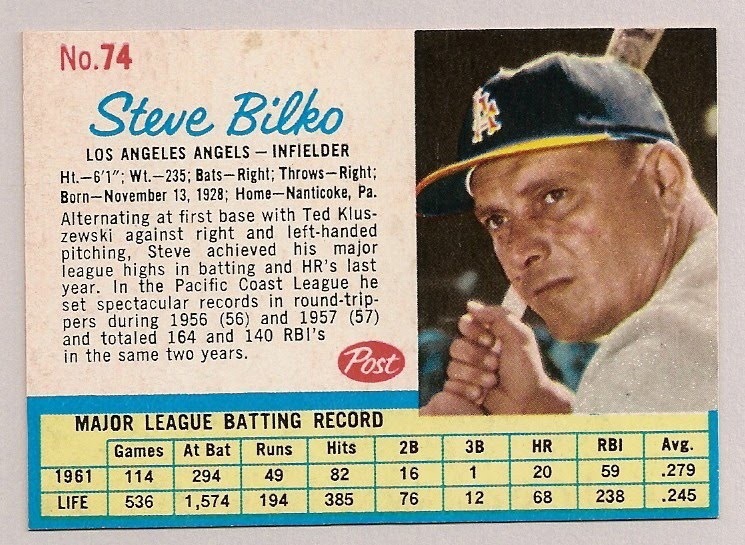 Burke, the first openly gay player in baseball, played for the Dodgers, and was traded to Oakland because of the fact he was gay. We saw a video clip where his former teammates spoke about how they were devastated by their close friend being shipped off. Some wept openly at their lockers at the news. 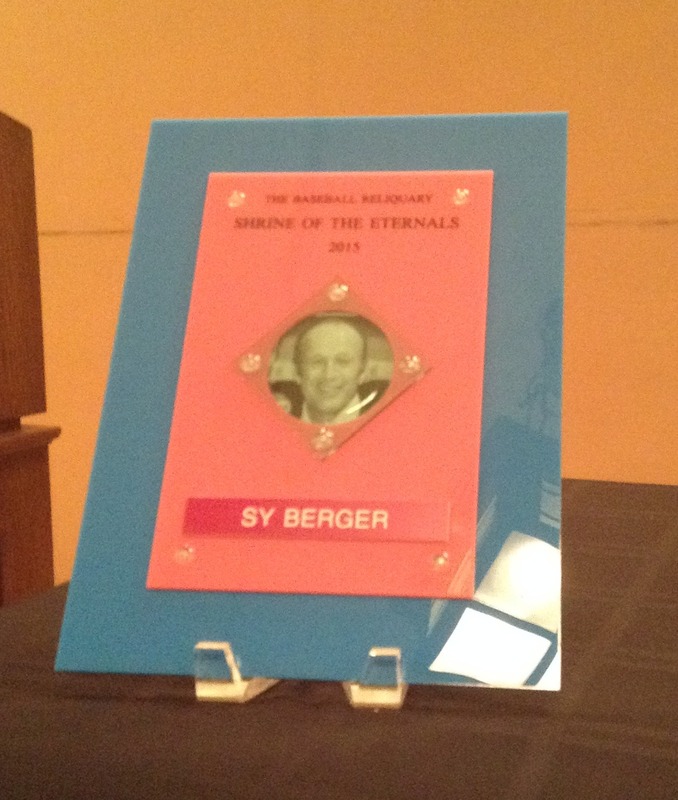 Here is Sy Berger's plaque. 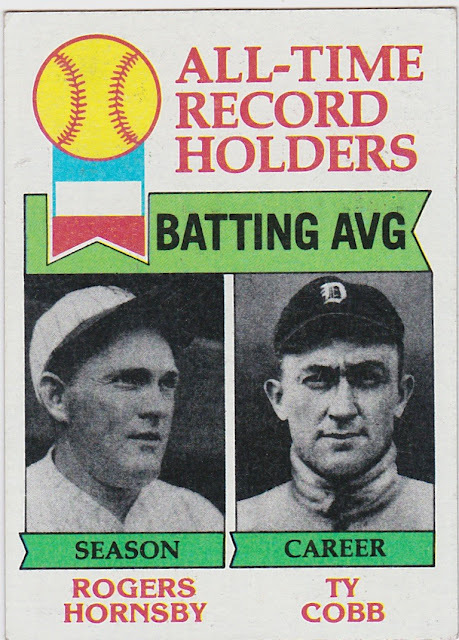 Speaking of larger than life characters, ol' Sy was the father of the modern baseball card, and Topps' representative to baseball for many years. He was very close to numerous players from the 50's and 60's. 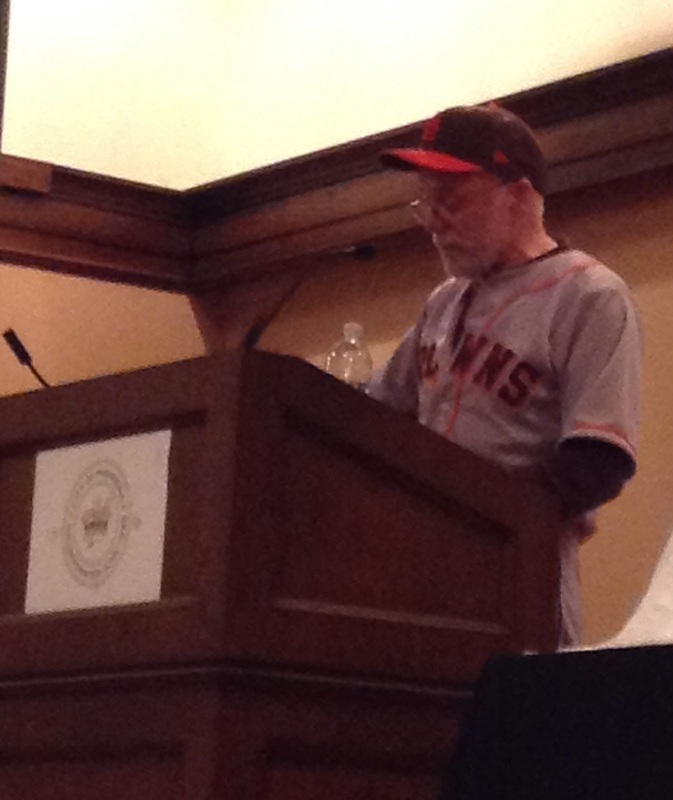 Willie Mays called Sy his best friend, and said he never would have made it in baseball if not for Sy. What an afternoon of baseball love, shared with lovers of baseball. 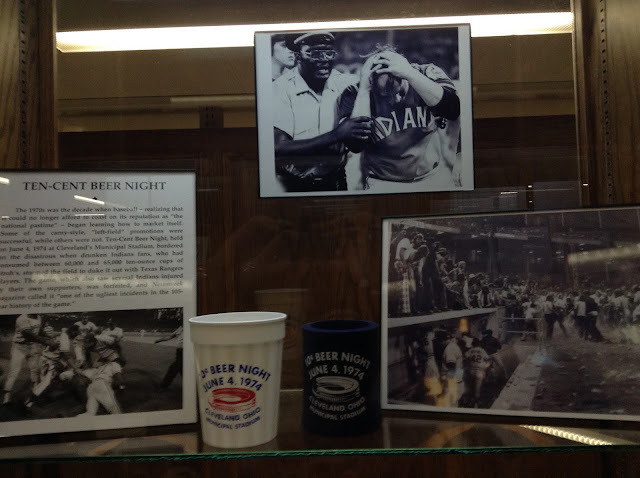 The old tales, often touching, of these baseball players and fans were fascinating and wonderful. I can't wait till next year! Good stuff. Seems like a great time. It was a fantastic baseball day! There Is Nothing Like A Surprise Auto!